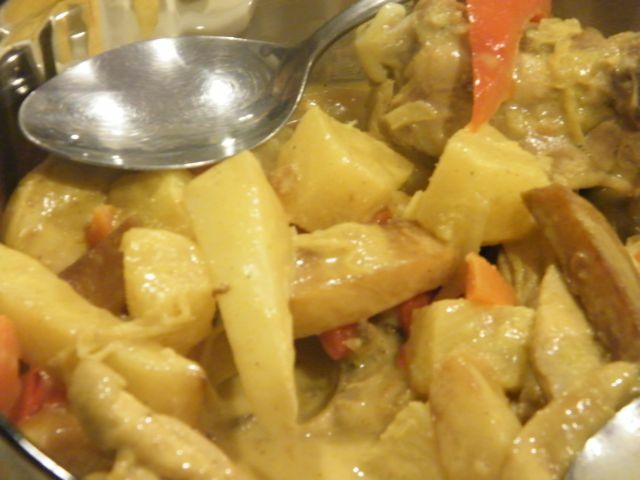 When it comes to curries, the most familiar to Filipino taste is Chicken curry. Understandably it is much milder than its Indian counterpart and a bit sweet too to adapt to our taste. 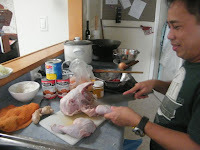 Last weekend, Choi cooked chicken curry for the group and I definitely had to ask for the recipe and take some photos for this blog. The chicken curry was yummy! curry powder (use the mild type so the kids can enjoy it as well, but feel free to spice it up if wanted) - guesstimate involved! 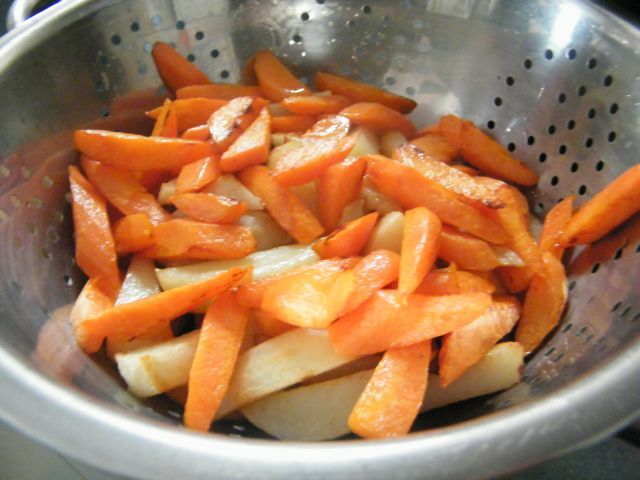 Heat up some cooking oil in a pan over medium heat and stir-fry the potatoes and carrots. Set aside. Heat up cooking oil and saute onion, garlic, and ginger. 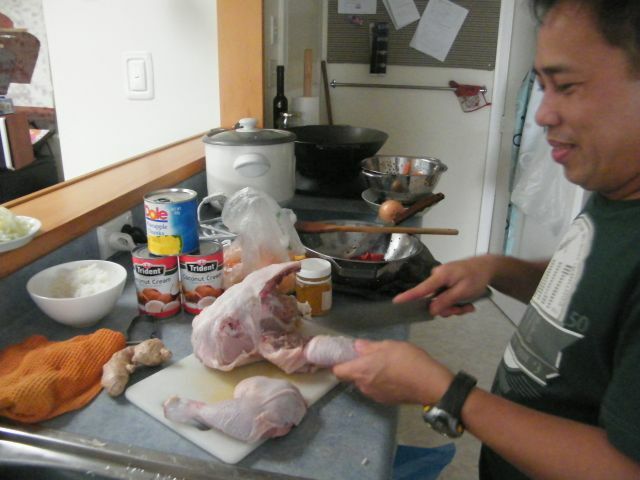 Then add chicken. Stir-fry until chicken is cooked. 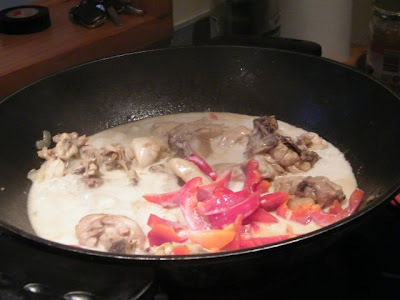 Pour in the coconut cream, mix it up, then add the capsicum. When the cream boils, lower the heat and add the curry powder. This is a guesstimate. Just add a couple of tablespoons first, then stir, and sprinkle some more if the sauce has not sufficiently acquired the curry colour. 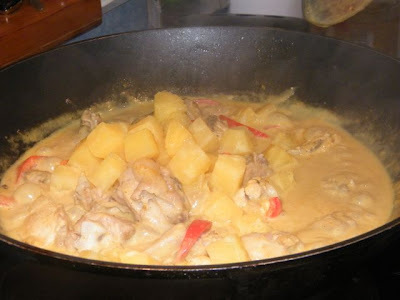 Then add the pineapple chunks. Mix and add salt and pepper to taste. Simmer for a couple of minutes then serve.